Thursday was a good day for the stock market, with major indexes bouncing back from a tough start to the session to finish higher. Optimism built throughout the day that the U.S. economy might get a lift from an end to challenging situations like the government shutdown and the trade dispute with China. Yet earnings season and other factors brought their fair share of bad news to corporate America, and some stocks therefore lost ground. Morgan Stanley (NYSE: MS), United Natural Foods (NASDAQ: UNFI), and Signet Jewelers (NYSE: SIG) were among the worst performers. Here's why they did so poorly. 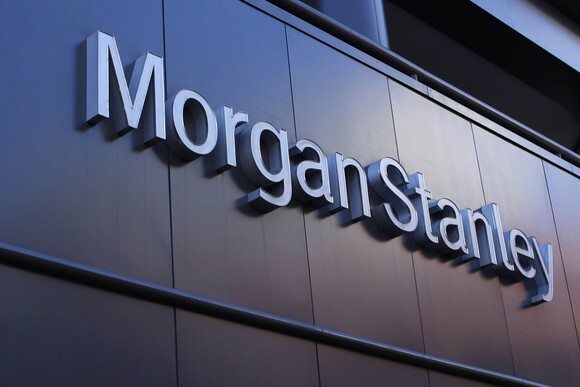 Shares of Morgan Stanley dropped more than 4% after the investment banking giant reported its fourth-quarter financial results. The company said that net revenue hit record levels, but after accounting for one-time charges in the year-earlier period due to tax provisions, adjusted net income fell. Of particular concern was Morgan Stanley's trading unit, with weak business in the bond market weighing especially hard on the segment's revenue figures. Wealth management performance was also poor, and signs of higher costs showed a lack of discipline from the bank. With peers outperforming it, Morgan Stanley will need to bounce back aggressively in 2019. United Natural Foods saw its stock fall 18%, giving back nearly its entire move higher from Wednesday. Even though the company said that it expects better full-year fiscal 2019 financial results than it had previously expected, stock analysts following United Natural seemed to disagree. In particular, one analyst pointed to United Natural's ownership of the SUPERVALU supermarket business as a negative, in that it could spur competing grocery giants to spurn United Natural as a supplier of organic and natural foods. All in all, the moves over the past two days have put the stock back into a familiar range while investors wait for more color on the company's strategic plans. Finally, shares of Signet Jewelers plunged nearly 25%. The jewelry company behind the well-known Jared, Kay, and Zales store chains cut its financial forecasts after a poor holiday season. Same-store sales were down 1.3% during the nine weeks that ended Jan. 5, with a particularly severe 8% drop from Jared locations more than offsetting 2.9% comps gains at Zales. CEO Virginia Drosos pointed to a "competitive promotional environment" that led to weak customer traffic. Signet also cut its expectations for fourth-quarter and full-year earnings, and investors fear that even worse news could come with Signet's full results in early March. United Natural (UNFI) Down 6.4% Since Last Earnings Report: Can It Rebound?